Sorority sisters often become BFFs, so those friendships are worth celebrating! 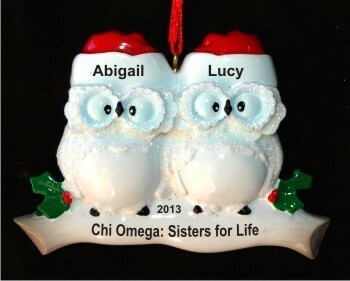 It doesn't matter which sorority you both are a part of, we'll customize the Chi Omega big and little sister personalized Christmas ornament with your sorority's name. 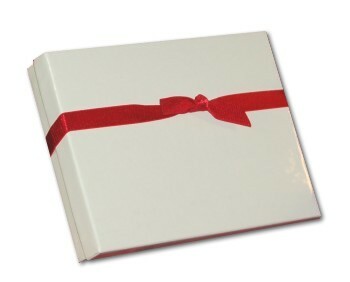 The details are added by a lettering artist in a font prettier than the one shown in the picture for clarity. These sorority ornaments personalized by hand are fun big sister, little sister gifts, but work perfectly for any two in the house. Show your appreciation and love this season with a gift that will be treasured each holiday season, the two owls sorority sisters personalized Christmas ornament in our plush velvet drawstring bag, a Russell Rhodes exclusive. For a Kappa Delta "sister" Dec 27, 2014 Calista E.